This report reviews the economic inclusion efforts, achievements and challenges from the East Baltimore Revitalization Initiative. 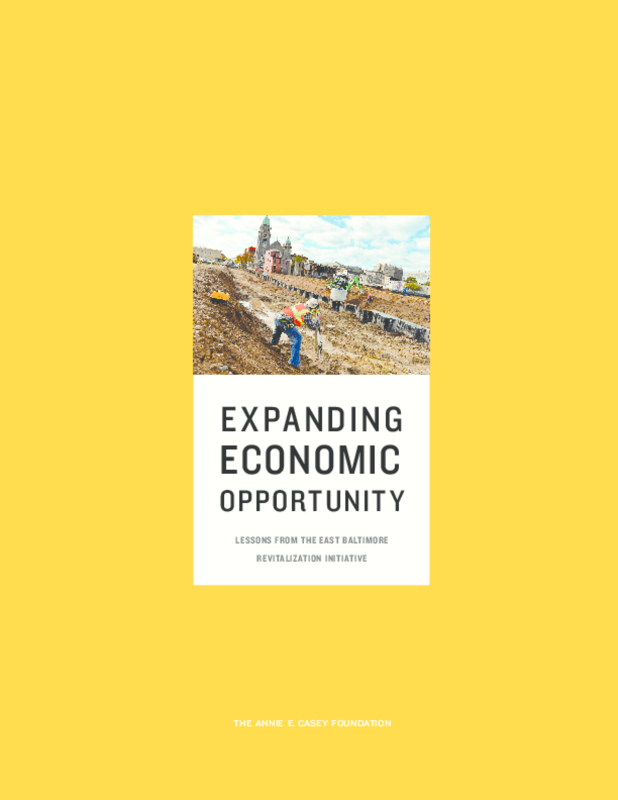 It examines the placement of local residents in construction jobs and the workforce pipeline that has trained and placed East Baltimore residents in jobs generated by the new development or elsewhere in the city, while also noting the complexity of creating project-related employment. It also reviews how East Baltimore Development, Inc. (EBDI) and its partners connected minority-owned businesses to the project and supported their growth. For context and comparison, this report cites examples of similar initiatives around the country. Finally, it offers various lessons learned over the course of the project to date. This report serves to inform and assist a range of people and institutions, including government leaders, businesses and nonprofits interested in economic inclusion. Copyright 2015 The Annie E. Casey Foundation.